From the Forums: Student Uses Tech to Interpret Classic Poem « Adafruit Industries – Makers, hackers, artists, designers and engineers! Thanks to Nate’s dad and forums user jrush for sending us this video. 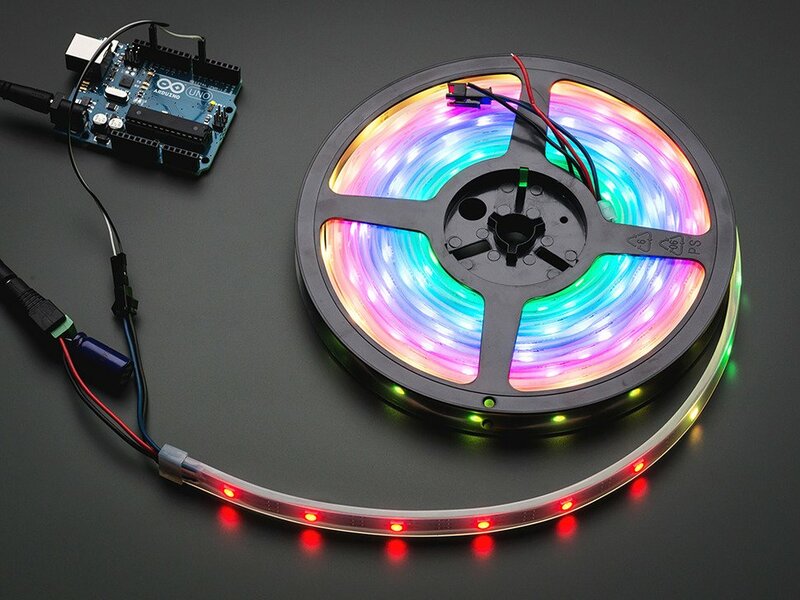 Adafruit NeoPixel Digital RGB LED Strip – Black 30 LED – BLACK: You thought it couldn’t get better than our world-famous 32-LED-per-meter Digital LED strip but we will prove you wrong! These NeoPixel strips have 30 digitally-addressable pixel LEDs per meter and are very affordable and are only 12.5 mm wide, 10 mm if you remove the strip from the casing. Read more.